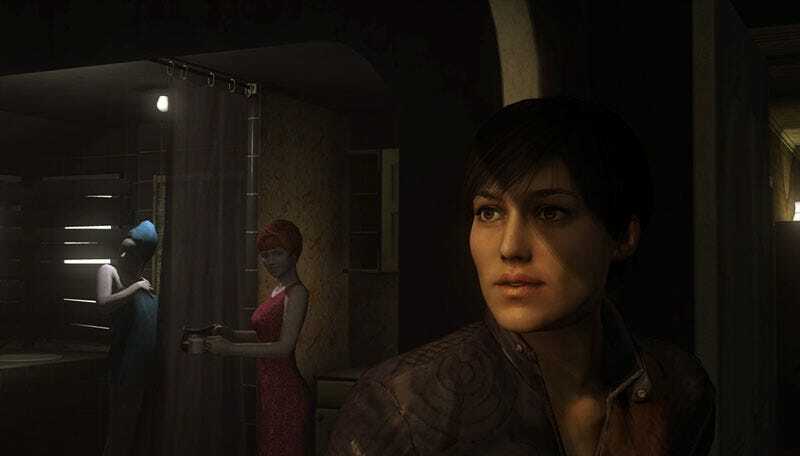 If you've already made up your mind to buy Heavy Rain for the PlayStation 3 next year, what harm could possibly come from pre-ordering? None! But there will be one benefit—free access to the first Heavy Rain Chronicles. The first of these episodic downloads is Heavy Rain: Chronicle One – The Taxidermist, a self-contained story featuring Heavy Rain ensemble star Madison Paige. You may have seen The Taxidermist before, as it was the subject of many Heavy Rain previews, like the one we had at the Leipzig Games Convention in 2008. According to official word, these "unique, stand-alone, playable short stories" will "offer a unique journey and different outcomes based on the players' decisions and actions." The PlayStation.blog puts a theoretical $4.99 price tag on these things, which may or may not affect your decision to pre-order the game. Hit up the PlayStation.blog for a list of participating retailers if you're interest is piqued.